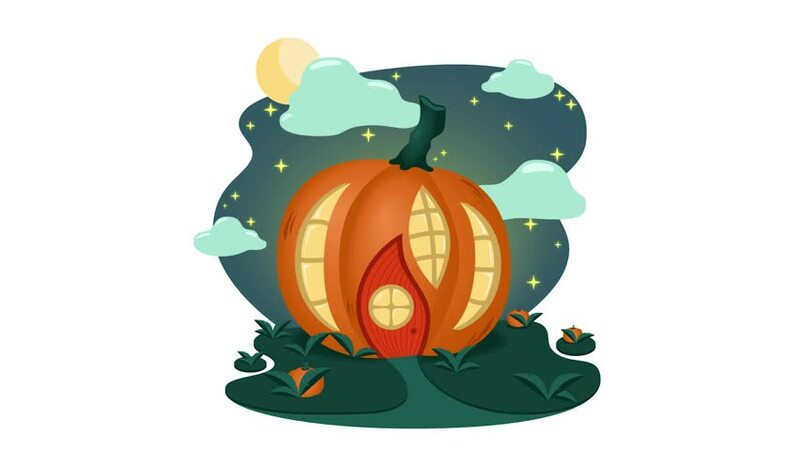 Video pumpkin house for Halloween. Pumpkin house with holy windows against the background of the night sky with a crescent moon. White background. hd00:19Hamsters are playing spin the wheel. 4k00:17 4K. Man hiker tourist sit near tent in spring forest with paper map.